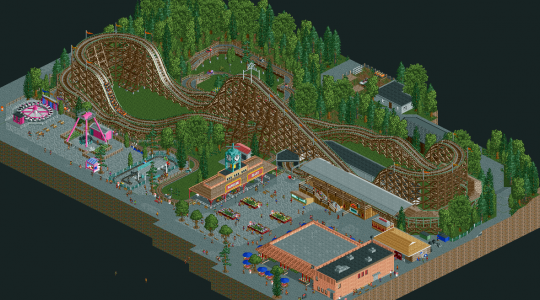 Congratulations to saxman1089's The Phoenix at Knoebels Amusement Resort, the latest winner of RCTgo's Build It Competiton! The Phoenix at Knoebels Amusement Resort beat the other three entries with 14 votes and 56% of the vote. Download The Phoenix at Knoebels Amusement Resort now! This file should be opened using OpenRCT2, as I am not sure if it is vanilla compatible. I hope you enjoy your ride on The Phoenix! 4 Build it Wins!!! Thanks to everyone who voted for me!!! Wooo! Thanks all! Glad you guys liked it! Congratulations! Not bad for a first entry! Congrats; it was a spectacular recreation, and was worthy of winning the Build It! competition. Congrats on the win for this round!